Prof. Dr. Anne Peters, LL.M., ist Direktorin am Max-Planck-Institut für ausländisches öffentliches Recht und Völkerrecht in Heidelberg. 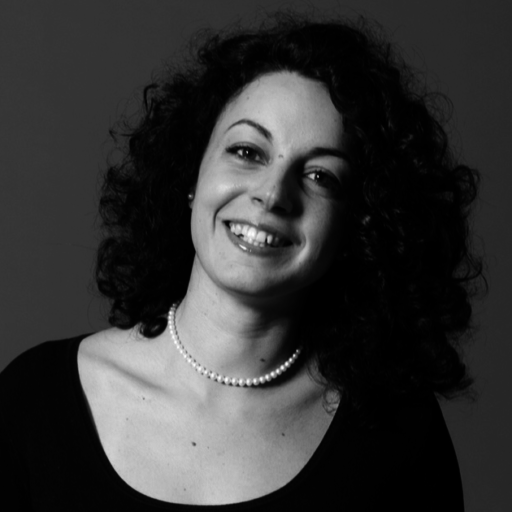 Dr. Valentina Volpe ist Senior Research Fellow am Max-Planck-Institut für ausländisches öffentliches Recht und Völkerrecht in Heidelberg und Mitglied des Istituto di Ricerche sulla Pubblica Amministrazione (IRPA) in Rom. Sentenza 238/2014 of the Italian Constitutional Court created a legal and political deadlock between Italy and Germany. In denying Germany’s immunity from civil jurisdiction over claims to reparations for Nazi crimes committed during World War II, the Italian Constitutional Court indirectly challenged the International Court of Justice’s (ICJ) judgment of 2012, which had confirmed the principle of State immunity. The Sentenza warrants renewed attention because a wave of judgments issued by several Italian courts since 2015 started breathing new life into the case. Court decisions in Florence, Rome, Piacenza, Ascoli Piceno reaffirmed Italian jurisdiction and in some cases ordered Germany to pay reparations to victims of deportation and their heirs. Germany, however, contends that State immunity bars the Italian courts’ jurisdiction and it has refused to take part in the proceedings. Numerous similar cases are currently pending. Sentenza 238/2014 exemplifies the tension between, on the one hand, the international rule of law and respect for one of its traditional core principles, i.e. State immunity (as embodied in the ICJ judgment) and, on the other hand, the idea of universal human rights, including a potential right to a remedy (as exemplified by the Constitutional Court’s insistence on access to a judge for the victims). How to reconcile State immunity, guaranteed by international law, and the right to remedy for victims? How to square individual human rights and the international rule of law? How is the relationship between international and domestic law evolving and which role can courts play in this process? The conference Remedies against Immunity? Reconciling International and Domestic Law after the Italian Constitutional Court’s Sentenza 238/2014, organized by the Max Planck Institute for Comparative Public Law and International Law (MPIL), the Istituto di Ricerche sulla Pubblica Amministrazione (IRPA, Stefano Battini) and Villa Vigoni (Immacolata Amodeo and Julian Stefenelli), German Italian Centre for European Excellence, from 11 to 13 May 2017 at Villa Vigoni, Lake Come, seeks to address these questions. Adopting for the first time a bi-national perspective, the event aspires to suggest concrete solutions to the parties, offering academic expertise in the service of interstate pacification. This Verfassungsblog “Debate” symmetrically mirrors the time and topics of the discussions at Villa Vigoni, and we are grateful to our main speakers who accepted to echo the real conference in the virtual one through their blogs. On Saturday 13 May, it will be possible to follow the livestream of the conference’s final event on Verfassungsblog. The events leading to Sentenza 238/2014 go back to the unsolved quarrels between Italy and Germany on World War II crimes. The Sentenza is, therefore, part of a longstanding judicial conversation which has developed at the intra-state, national, and international level. The factual background of the various judicial proceedings are the atrocities committed by German forces in the occupied Italian territory between October 1943 and the end of the war in May 1945. These are uncontested by Germany. They notoriously included massacres of civilians and the deportation of a large number of the population for forced labour. The core issue litigated on the multilevel judicial battlefield is reparation for the ‘Italian Military Internees’ (IMIs), i.e. the several hundred thousand of members of the Italian army whom German forces took prisoner both inside Italy and elsewhere in Europe. Most of these IMIs were denied the status of prisoner of war and were deported to Germany and German-occupied territories for use as forced labour. Sentenza 238 of 22 October 2014 of the Italian Constitutional Court, as is well known, reopened the debate on the issue of compensation to Italian victims – and their heirs – for Nazi crimes during World War II. Although the judgment paid lip service to the “external” bindingness of ICJ judgments (by virtue of Art. 94 of the UN Charter), and also to international law principle of State immunity, it neatly distinguished the “internal” and “external” effects of an international norm and of the ICJ judgment. It clearly stated that these international norms and acts could not deploy any internal effect within the Italian legal order, on the basis of a ‘dualistic’ understanding of the relationship between domestic law and international law: “Accordingly, the incorporation, and thus the application, of the international norm would inevitably be precluded, insofar as it conflicts with inviolable principles and rights” of the Italian constitutional order. The Italian Constitutional Court verbally did not contest the rule of international customary law regarding immunity as identified by the ICJ: “[T]he interpretation by the ICJ of the customary law of immunity of States from the civil jurisdiction of other States for acts considered jure imperii is particularly qualified and does not allow further examination by national governments and/or judicial authorities, including this Court”. However, the Corte Costituzionale strongly affirmed its exclusive role as a guarantor of constitutional principles: “It falls exclusively to this Court to ensure the respect of the Constitution and particularly of its fundamental principles”. In consequence, the Corte reserved for itself the competence to review the compatibility of the international norm of immunity from the civil jurisdiction of other States against the benchmark of those (constitutional) principles. It is particularly problematic that the Corte reserved for itself the competence to ascertain whether the customary international norm of immunity, as interpreted by the ICJ, can be “incorporated into the constitutional order”. The right to access to justice encompasses the right to appear and to be defended before a court of law in order to protect one’s rights. This right is guaranteed by Article 24 of the Italian Constitution. It is, in the Court’s jurisprudence, considered among the “supreme principles” of the Italian constitutional order. The Sentenza has been unanimously considered as “historical”. But it has both critics and supporters in the global academic community. Indeed, the judgment raises numerous questions and different types of concerns from both international and domestic standpoints. Sentenza 238/2014 touches topical issues of contemporary international law at its intersection with constitutional law. The Sentenza also warrants renewed attention because a new wave of judgements issued by several Italian courts since 2015 has started giving real life to the case. These lower court decisions in Florence, Rome, Piacenza, and Ascoli Piceno ordered Germany to pay reparation to Italian victims of deportation while numerous other cases are currently pending. The situation does not seem to be near to any solution soon. The research questions raised by the Sentenza concern three different but intersecting issue areas: a. the conflict between State immunity and human rights protection; b. the relationship between international law and domestic law; c. the formation and change of international customary law, notably the role of domestic courts, along with the issue of separation of powers in a democratic state. The virtual debate will reflect the format of the conference at Villa Vigoni. The conference is envisioned as an Italo-German academic forum. It brings together a group of distinguished legal scholars whose backgrounds span from Italian and German constitutional law to European, comparative and international law in order to discuss both the systemic and theoretical significance of the judgment and its progeny and to suggest concrete solutions to the current impasse. In order to facilitate an open and frank discussion among the selected panellists, as well as to guarantee the necessary confidentiality, participation is limited to speakers, discussants, chairs and rapporteurs, along with a limited number of engaged listeners. On Thursday 11 May, study and legal analysis focus on the main consequences and possible responses to the judgment which are of particular interest from the German perspective (Panel I, speakers Andreas von Arnauld and Jörg Luther), and then on issues which are of special interest from an Italian perspective (Panel II, speakers Paolo Palchetti and Heike Krieger). As organizers, we identified a set of highly problematic questions raised by the Sentenza 238/2014, and asked both a German and Italian speaker to provide concrete answers. A Rapporteur for each panel, will actively attend both sessions, registering the main ideas and proposals emerging from the discussions in order to summarize and present them on the third day. The keynote speech by Joseph H. H. Weiler will conclude the first day. On Friday 12 May, the focus will be on the implications for European law as a whole (Panel III, speakers Andreas Zimmermann and Alessandro Bufalini) and for International law more generally (Panel IV, speakers Riccardo Pavoni and Christian J. Tams) of the post-Sentenza 238/2014 constellation. Both a German and Italian scholar will provide possible replies to the topical questions we formulated, while rapporteurs will register the main outcomes and proposals for the third day. Justices and former justices of the Italian Corte Costituzionale (Sabino Cassese and Marta Cartabia) and of the German Bundesverfassungsgericht (Andreas L. Paulus and Doris König) will chair the panels. Distinguished scholars will act as discussants (Francesco Francioni, Stefan Kadelbach, Bernardo Giorgio Mattarella, Raffaela Kunz). On the third day, the keynote speech by Christian Tomuschat will open the floor and the four rapporteurs (Giovanni Boggero, Karin Oellers-Frahm, Antje von Ungern Sternberg, Filippo Fontanelli) will then summarize the conference’s outcomes, which concretize potential solutions to the impasse. Eminent speakers (Pierre-Marie Dupuy, Valerio Onida, and Bruno Simma) will discuss the main suggestions from different perspectives (Panel V), moderated by two journalists from two major newspapers from both countries (Reinhard Müller and Danilo Taino). The conference’s results will be made public and discussed before and with an enlarged audience of both German and Italian stakeholders, such as judges involved in the pre/post-Sentenza proceedings, lawmakers, diplomats, legal experts, media representatives, and organisations of victims. This will be an opportunity for triggering future debates at both institutional and civil society levels and for elaborating on the proposed options out of the legal stalemate. The conference’s third day will be live streamed on the Verfassungsblog. The design of the event reflects a two-fold aspiration. On the one hand, it creates a top-level forum of academic legal discussion able to bring renewed attention to the situation of latent crisis created by the Sentenza in the relationship between the German and Italian Republics; on the other hand, it aims at suggesting concrete legal and political solutions to the parties involved, contributing – in a problem-solving attitude – to overcoming the present paralysis. The event’s inspiration is forward-looking and conciliatory. The idea is to engage in an exercise of ‘academic diplomacy’ putting academic expertise at the service of interstate dispute resolution, looking for possible solutions within a common European framework. The venue of the event has a deep symbolic significance. Villa Vigoni is a German State property situated in Italian territory. It is the seat of a cultural and research centre intended to promote exchanges between Germany and Italy in the fields of culture, politics and economics. In the past, enforcement measures have been imposed by Italian authorities on this property in order to ensure the payment of compensation by Germany to victims of Nazi crimes. For these purposes, great attention will be devoted to grant a maximum diffusion to the colloquium’s conclusions and final proposals, both during and after the event. The conference seeks to deliver outputs which might meaningfully contribute to the academic and civic debate on the issue and eventually an edited volume resulting from the colloquium. SUGGESTED CITATION Peters, Anne; Volpe, Valentina: Introduction: In search for conciliation, VerfBlog, 2017/5/11, https://verfassungsblog.de/introduction-in-search-for-conciliation/, DOI: https://dx.doi.org/10.17176/20170511-121937 .